Kim Hyung-jun, previously a member of K-pop group SS501, one of the first Korean groups to break into the Japanese market, is an established solo artist and actor since 2010. He is the first Korean artist to perform extensively in South America and has a huge Asian following as well. 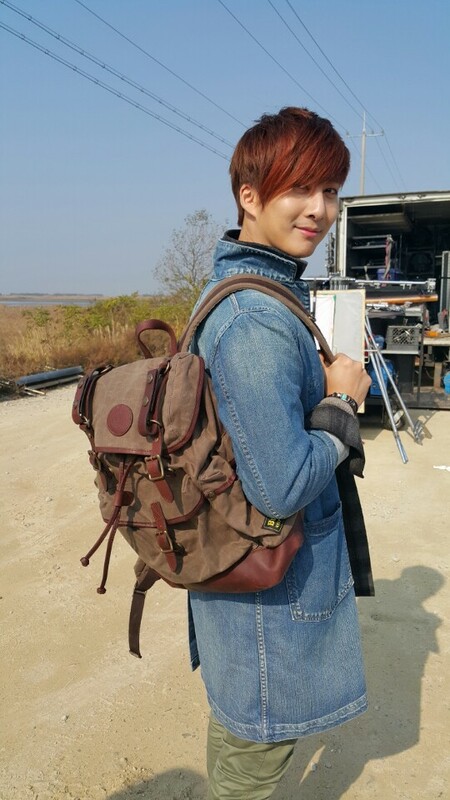 Kim Hyung-jun recently released a new MV of “Be With You,” set in a lonely desert with nothing but a bed and a car, and — our favorite — a Builford classic backpack. It’s a lonely and melancholy song, but we love that this fantastic backpack and backpack brand is starting to get the recognition it deserves! Builford is one of those few brands that celebrities and idols choose but is actually something that everyone can buy and enjoy. We’re so used to seeing fantastic, unattainable worlds in movies and MVs, but Builford is the kind of backpack that is practical enough to be used every day and stylish enough to be featured in the media. We’ve seen Builford backpacks in many television shows as well. The Classic Backpack is a unique take on the traditional backpack, with a drawstring close and top flap, but with lots of interior space, including a 15¨ laptop compartment. The front and side pockets add lots of space for extra small items as well. We’ve never been stranded in a desert before we’re pretty sure we’d bring a Classic Backpack with us too! If you haven’t seen the MV yet, it’s embedded in this post! Enjoy! To get your own Builford Classic Backpack, visit www.builford.com! Share the post "Builford Stars in Korean Idol’s New MV"
Posted in CELEBRITY'S PICK and tagged be with you mv, builford, builford backpacks, builford classic backpack, celebrity backpacks, kim hyung-jun, kim hyung-jun be with you, korean celebrity brand, music video fashion. Bookmark the permalink.